According to Weblio, 「それがなにか（問題）」 is similar to "So what", e.g. I'm wondering why the topic marker 「は」, as in 「それはなに」, is not used here. After all, "As to that, is there any thing wrong" sounds very close to "So what". それがなにか is a shorthand of それがなにかしましたか or それがなにか気に障りましたか. It roughly translates to "Does that bother you?" or "You have a problem with that? ", and is always used defensively. In this instance, it translates to: "I'm not married. Does that bother you?" or "I'm not married. You have a problem with that?". The underlying context is that in Japan, there is a social stigma against the unmarried (particularly towards women), and the author is taking a jab at that, so to say. You therefore have to be careful when you use this expression, as it can be seen as being aggressive. On the other hand, それは何か simply asks what it is. Then the question turns into: why does one not say 「それはなにかしましたか」 or 「それはなにか気に障りましたか」 and use 「それはなにか」 as a shorthand? I'm not a linguist so this is how I understand it as a native speaker. By using が, it refers to a concrete instance. E.g. it sounds odd to say 太郎は何かしましたか because は implies it's asking about a characteristic, yet by asking what he did it seems to be referring to a concrete instance. It would translate to: Did Taro do some unspecified activity (as opposed to not doing anything), which is not ungrammatical but an odd question. In contrast, 太郎が何かしましたか translates to Did Taro do something specific (that bothers you). Is there any natural question expression that can start with 「太郎は」? 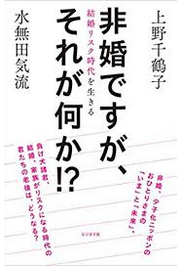 If so, how should one discriminate the questions that should be asked with 「太郎は」 and the questions that should be asked with 「太郎が」? 「太郎は歯を磨きましたか？」sounds very natural, but 「太郎が歯を磨きましたか？」 sounds odd (!). I don't think I can provide a comprehensive explanation as I can't quite pin down myself why this is. 「太郎は酒が好きですか？」 is also very natural, whereas 「太郎が酒が好きですか？」 is wrong. This question might help: What's the difference between wa (は) and ga (が)? Apparently books were written on this very subject so... Many non-native Japanese speakers I know, who practiced the language for decades make these mistakes so I suppose it's a really hard topic. Not the answer you're looking for? Browse other questions tagged は-and-が or ask your own question. Is は used when asking if something already discussed exists? More complex sentences - When to use は? When to use が? Why が is said to be a subject marker?